I got a very welcome, yet totally unexpected convo from Etsy last night. 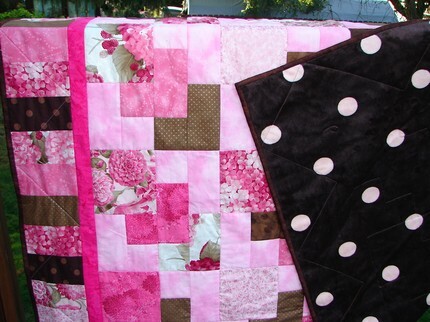 You may remember my quilts I dropped off at the fair last week. I don’t know how you could forget since I’ve been blabbing about them non-stop… I’m so annoying. 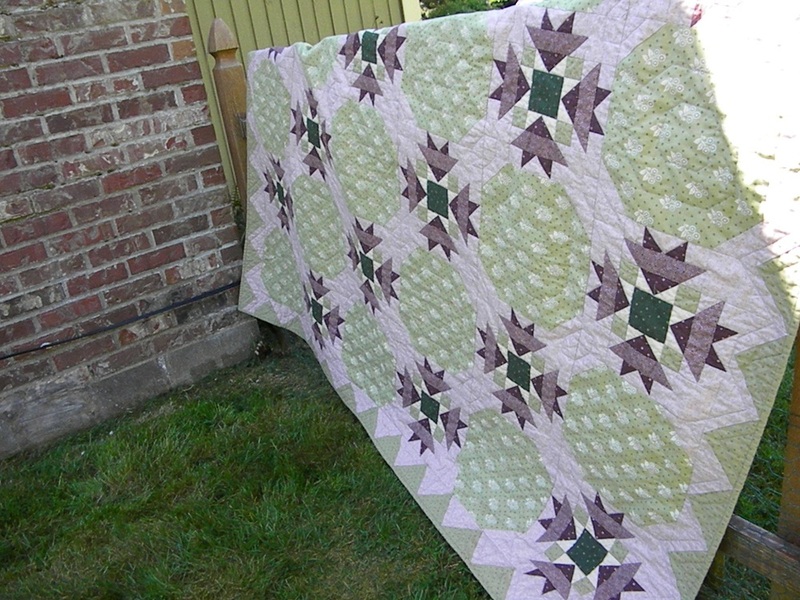 Anyway, a lady in Alabama found my quilts listed for sale (Lizze and I have many others on the website and she just happened to choose these two) and wanted to buy both of them. That’s right, BOTH. The only quilts neither one of us has in our possession at the moment. They are at the fair until the end of the month. No interest whatsoever in the 6 months they’ve been listed and them BAM! As soon as I send them out they’re flying off the shelves. What in the world? We should enter quilts into the fair more often apparently. Thankfully, she is willing to wait for them to be returned to me and she is buying them for her husbands grandmother. How sweet is that? I am so excited. After having not sold a thing in months, this is a wonderful turn of events. I was getting ready to start boiling shoes for dinner. I will be kind of sad to see them go if they win any ribbons, but I’ll make sure to take lots of pictures of them hanging up in the Hobby Hall next week. This whole experience has made me see that other people love and value handmade items. Lately I have been feeling a bit, well, unsure of how to price some of things I make. 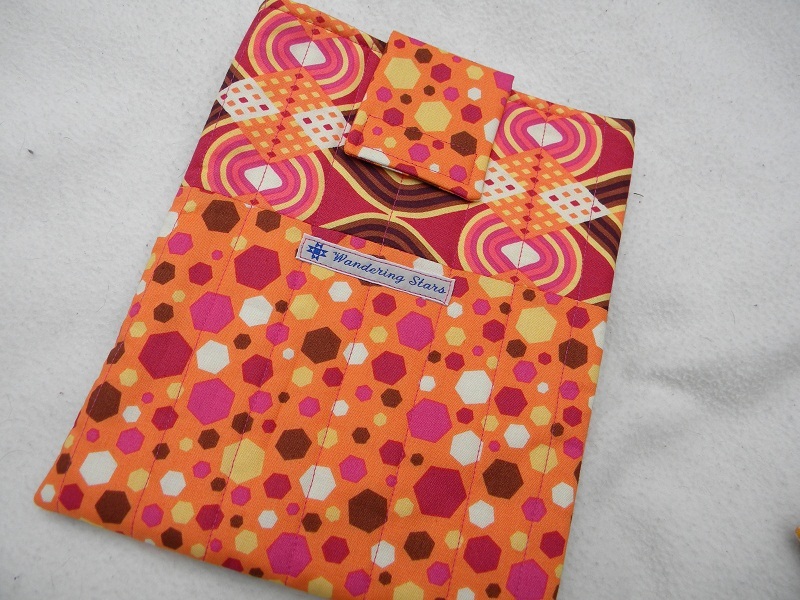 Yes, I spend a lot on quality fabric to make my quilts. And I spend a great deal of time cutting, piecing, quilting, and binding (by hand). My sister commented on a picture of one of my quilts recently asking how much it was. My palms started to sweat and I began having heart palpitations. I was ashamed to tell her how much I wanted for it. I feel like people don’t understand what goes into making something like this. When all is said and done, after factoring in my time and costs, I’m making much less than minimum wage. But still, when a person can buy a “quilt” at a big box store for less than fifty dollars, they don’t understand what is so special about mine. At least that’s what I thought until last night. There are people that get it. There are people that see the difference between a good quality handmade quilt, and one you might find perusing the clearance aisles at Target. There are people who understand the value in supporting the handmade culture, and supporting artists in the country in which they live. 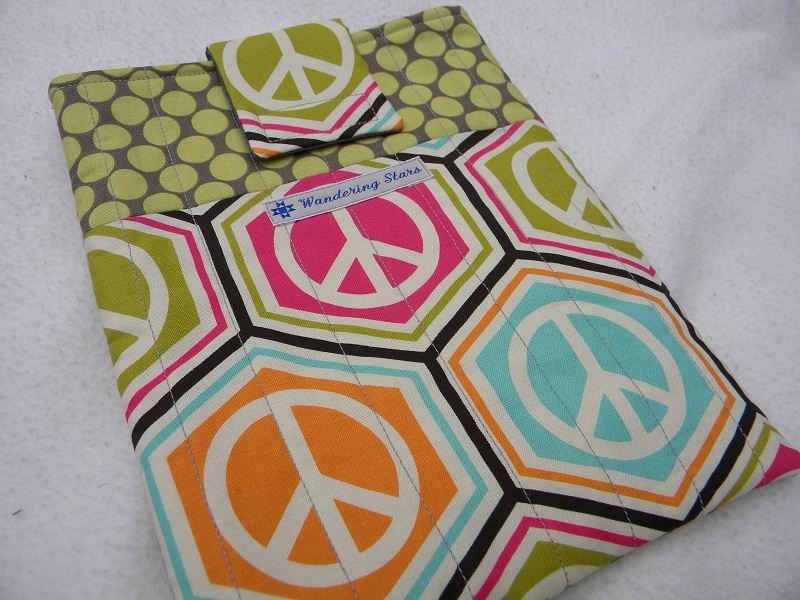 I will no longer be ashamed to tell someone the price of my quilts, or bags, or anything else. The people I want to buy my things are the ones who “get” it. The saying “you get what you pay for” comes to mind. I’m certain that my quilts will still be around for my great grandchildren to snuggle up in someday and that makes me smile. Last year I turned 30. That was hard for me. I was depressed for months and I never could put my finger on why that was. Something about being 30 I guess. Tomorrow I am turning 31 and I couldn’t care less about how old I am going to be. Yes, I will no longer be 30, but rather “in my thirties” and I’m fine with that. In fact, I’m SO fine with it, that I’m telling all of you how old I am AND I’m celebrating! For my birthday, Lizze and I decided that anything in our Etsy shop will ship for just 31 cents. Anything. 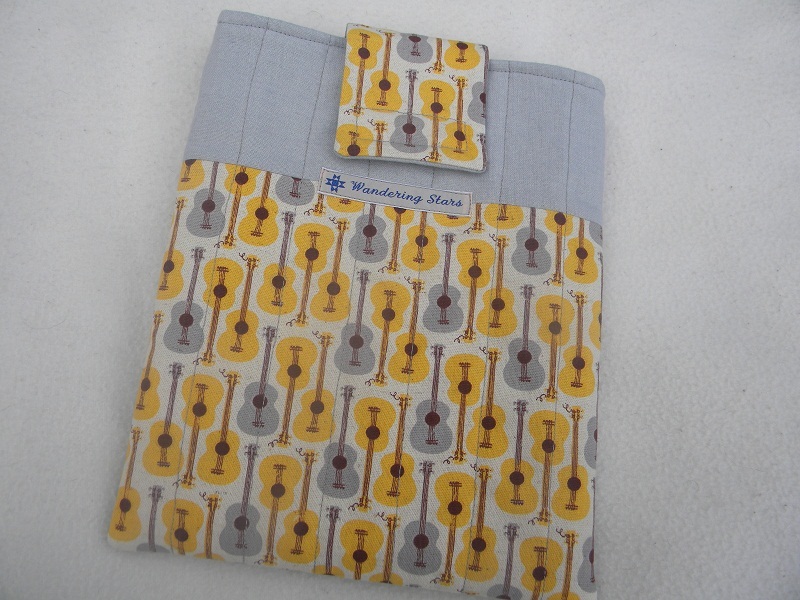 Anywhere at all in the U.S. From a small coffee cozy, all the way up to a huge quilt. That sounds like a great idea to me! The kids and I are going to hang out and it will be just like any other day except that I’ll get really awesome handmade cards with stick figures drawn on them that say “I love you mommy” – the absolute best gift I could receive. I have 3 little girls and they are going to attempt to bake me a birthday cake (ssssssh!!! It’s supposed to be a surprise!). I’m looking forward to sharing my birthday with everyone. I hope you stop by and say hi! Christmas Sewing in Full Swing! Sorry for being M.I.A. so much recently. This month is completely getting away from me. I can’t believe we only have 15 more days until Christmas! 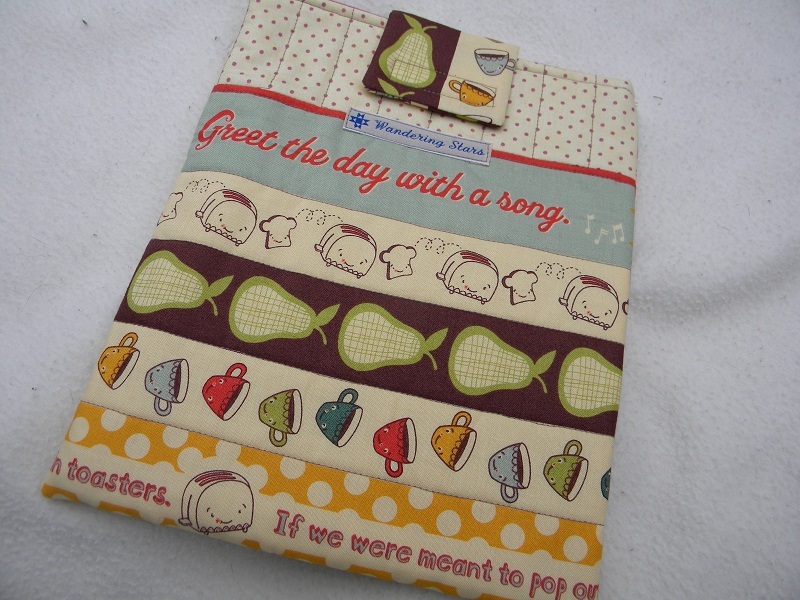 In between sewing gifts I have also been sewing items to sell. 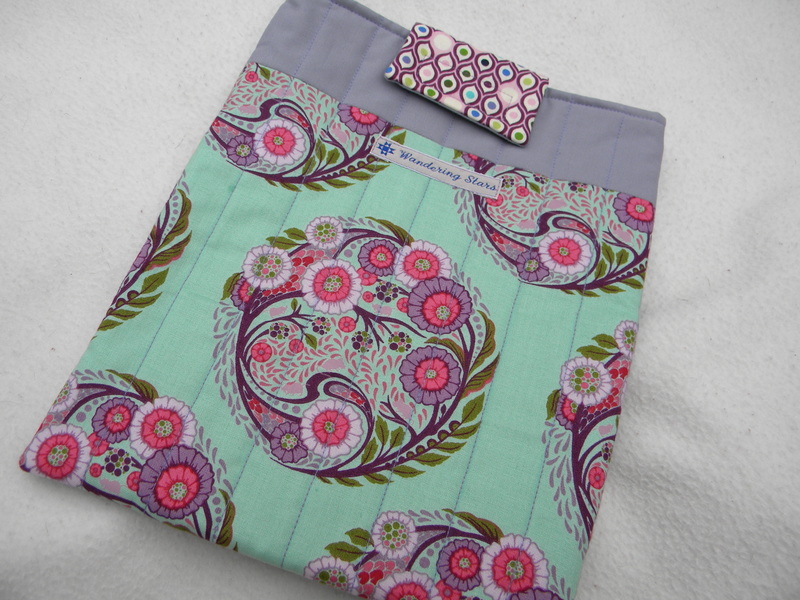 I’ll be in the middle of cutting some pajama pants and I’ll spot some fabric out of the corner of my eye. So, I stop making the jammies and start on something totally different. I have no idea why I do this, but it is really distracting! I have many knit hat for kids, more latte cozies, and some new mug rugs to list. I’m trying hard to stay focused on gift making though so that I have things to give my family. Taking photos of our items and editing them takes a lot of time for me. Especially now that the weather is so gross. I love taking my photos outside. 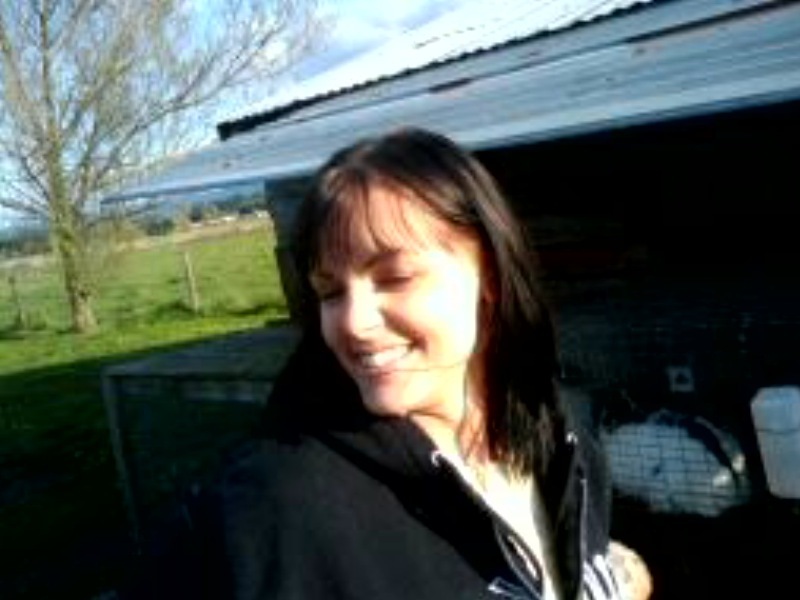 The natural light makes everything look its best. Having to take my pictures inside is not fun. It takes so many more photos before I get one that I am happy with. I’ve decided that my best bet is come up with a plan of action and write it down on my white board. 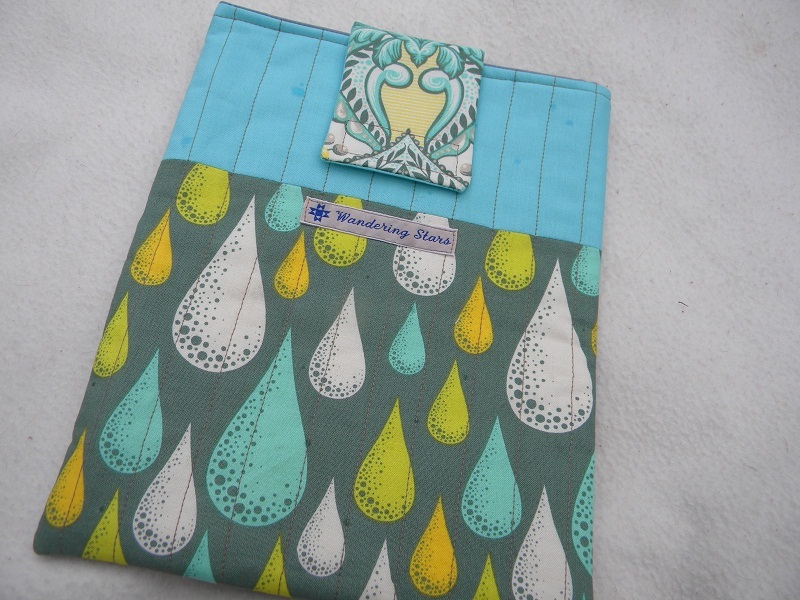 My plan is this: sew gifts all weekend (and don’t get distracted by pretty fabrics while I’m doing it), take all of my photos for listing on Monday, and put my items for sale on Etsy on Tuesday. I think I can stick to that plan. I feel like taking photos on the same day every week, and listing items on the same day every week might help me be more productive. Does anyone else that sells items online have a system that works for them? Up until now I have been very sporadic about my listing habits. I’m now at the point where I feel like I need to be a little more consistent. I’ll share my photos on Monday after I spend the day obsessing over the perfect shot. One post for gifts I made, and another post for items I’ll be listing for sale. Perhaps even a tutorial for an item that can be quickly made if you need a last minute gift and have been slacking like I have! I started this bag a very long time ago but, like most of my projects, I never got around to finishing it. Until today. I finally pulled it out of my overflowing “unfinished projects” box and got it done. It’s a great size. Not too big that you can’t use it everyday, but not too small that you can’t fit everything you might need it. 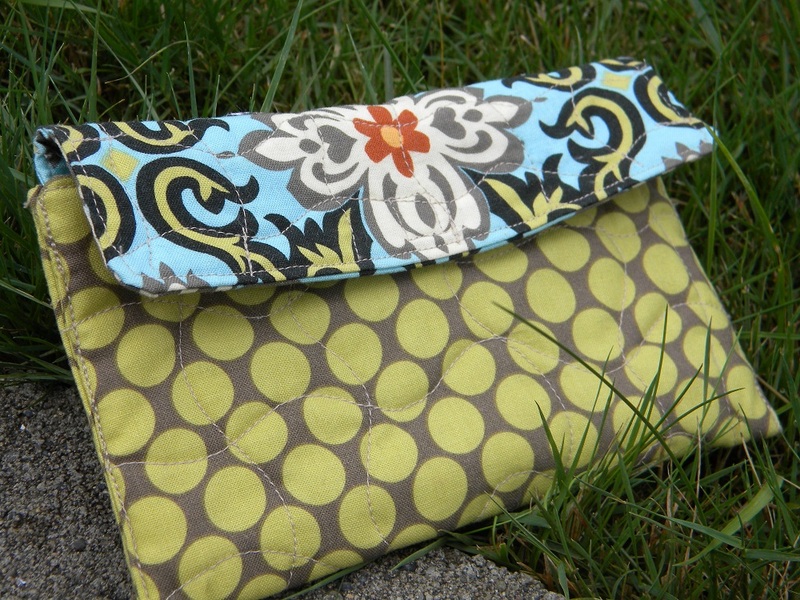 You can use it for going to the library, for a diaper bag, or anything else you can think of. 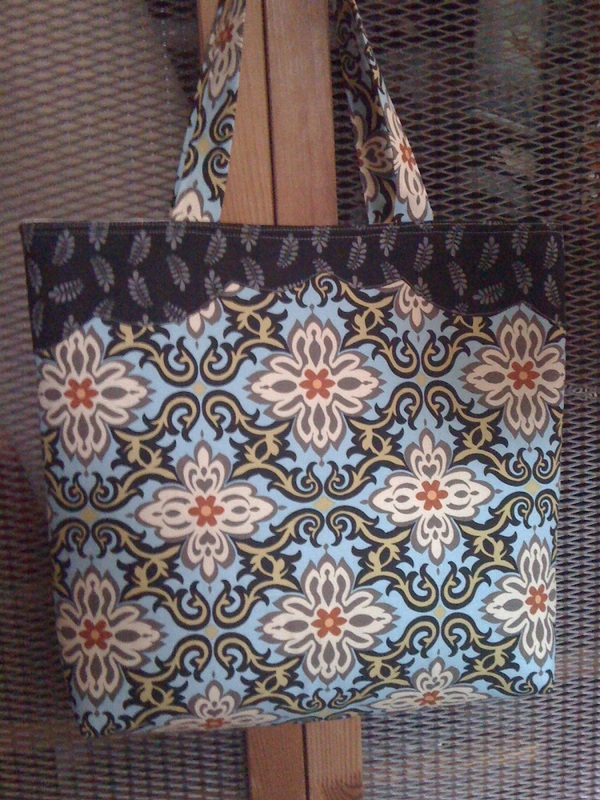 It’s really an awesome bag made with beautiful Amy Butler lotus fabric. 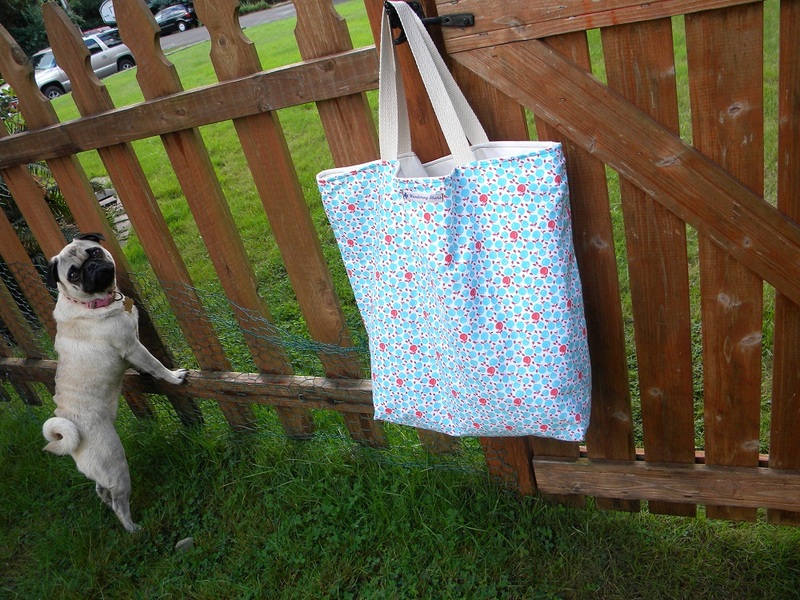 Oh, and by the way… This bag is made from the same fabric as one of the wallets I posted awhile back. What a lovely matching set it would make! 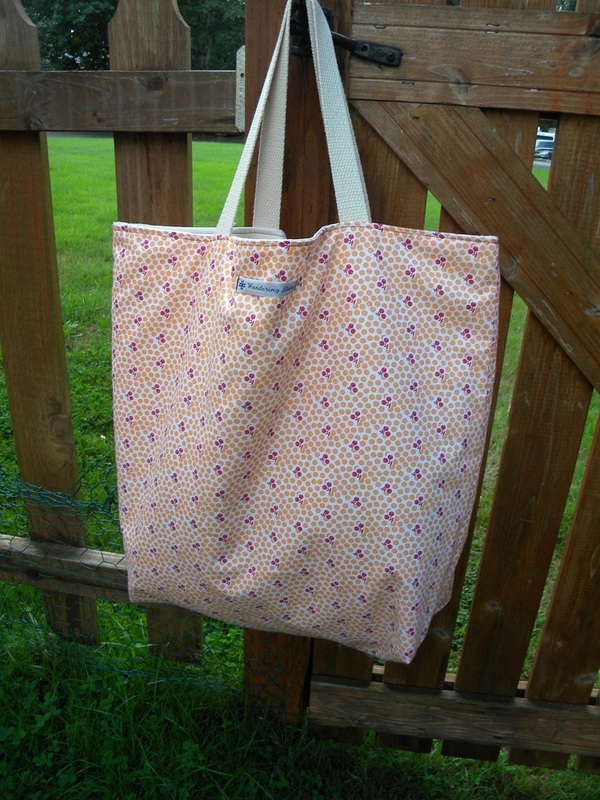 I whipped up these 3 market bags last night. 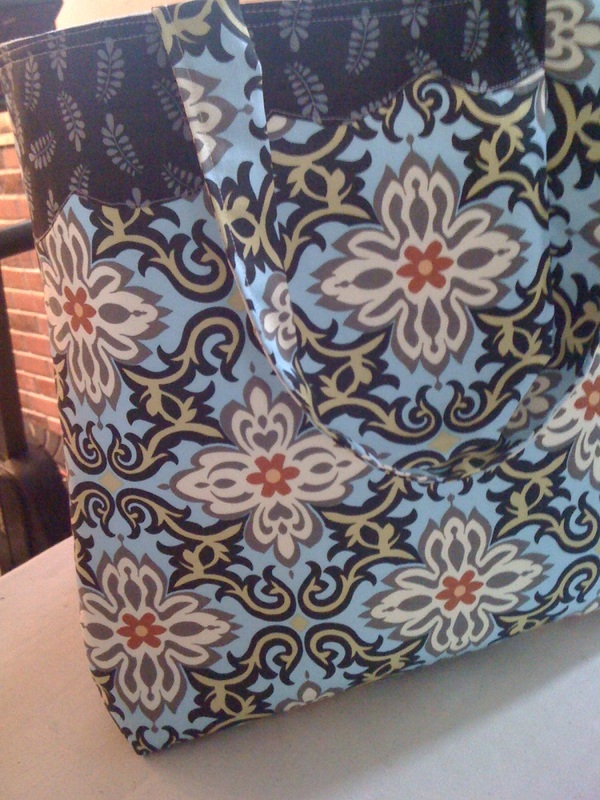 I’m so happy with them, these fabrics are my favorite! 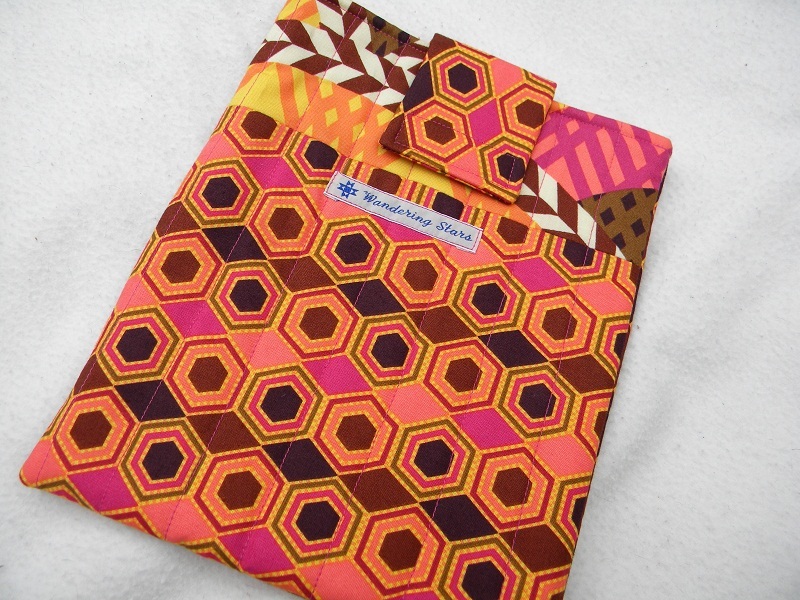 I purchased the fabrics from ConnectingThreads.com and they are a part of the Canning Day collection. For anyone not familiar with this website, I would love to recommend it. 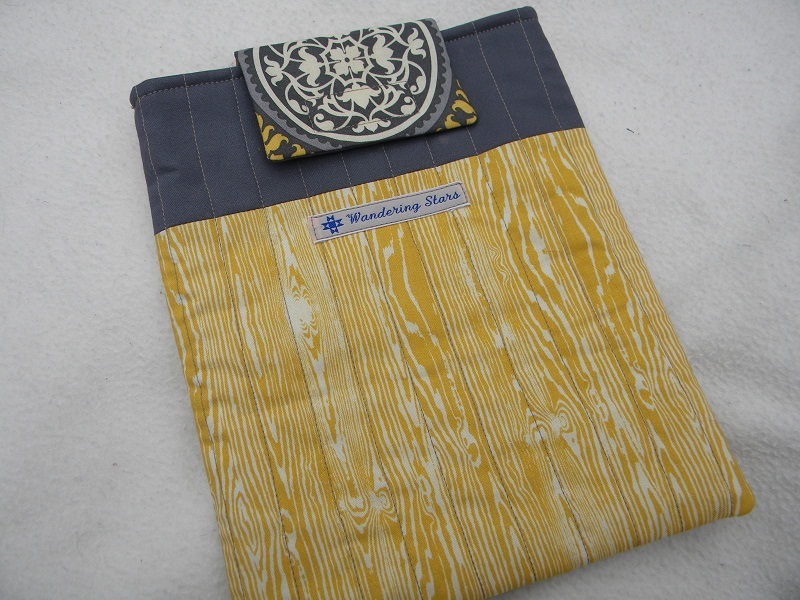 Their fabrics are of superior quality without a quilt shop price tag. 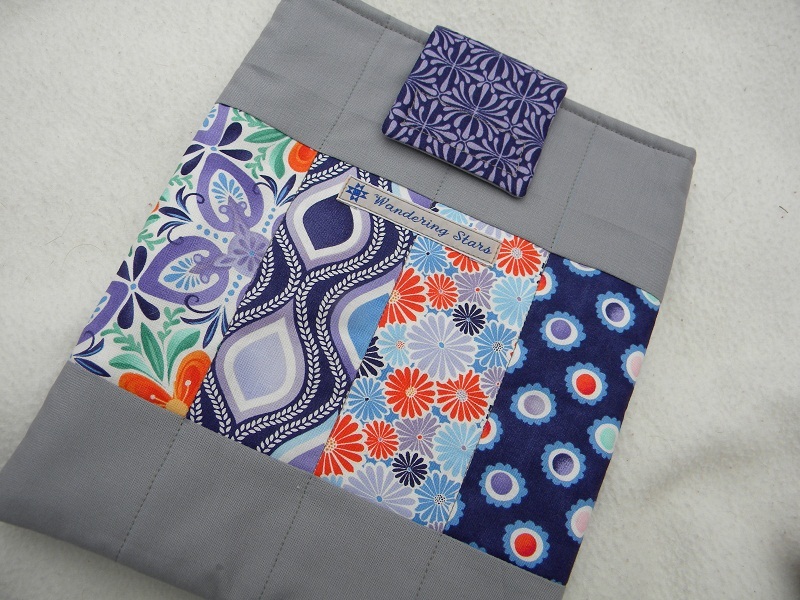 Not only that, but all of their fabrics are made right here in the USA (with the exception of batik’s, of course). These turned out very nice. It makes me look forward to the weekly shopping trip when I know I get to take these beauties with me. 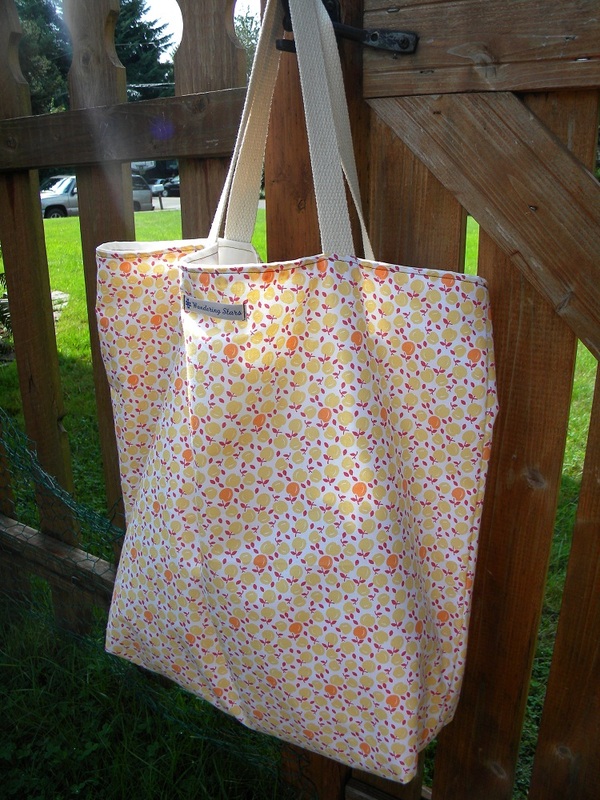 As with my other market bags they are $20 and available now in our etsy shop. I can make these in any prints you have in mind. Just let me know what you’d like. Hope it’s been a wonderful, relaxing weekend. Happy Sunday! 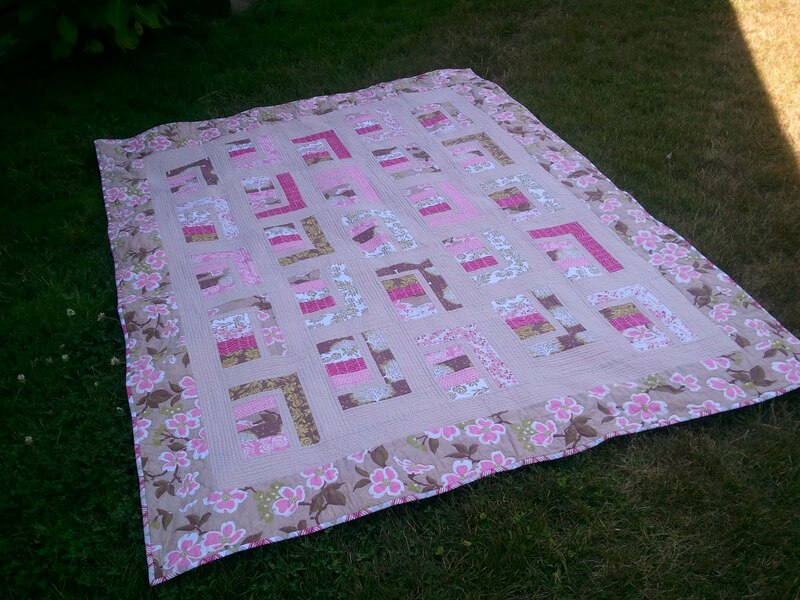 As promised, this beautiful quilt is now finished. It is called “Hydrangeas for Hope”. 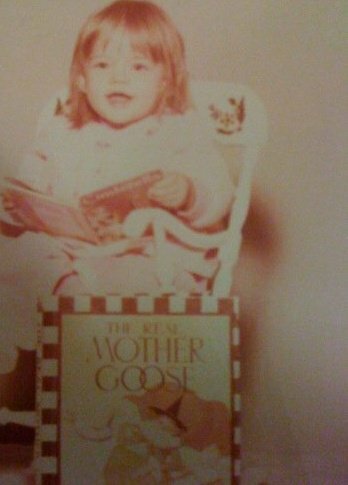 Both Lizze’s mother and sister have had breast cancer, so this is a cause that touches her very deeply. 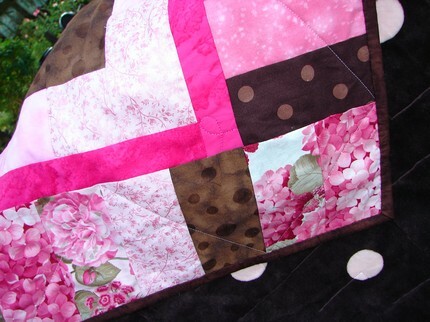 A portion of the proceeds from the sale of this quilt will be donated to the Susan G. Komen 3-day walk. Please take a look at this listing. It is for such a wonderful cause. The month of October is national breast cancer awareness month. 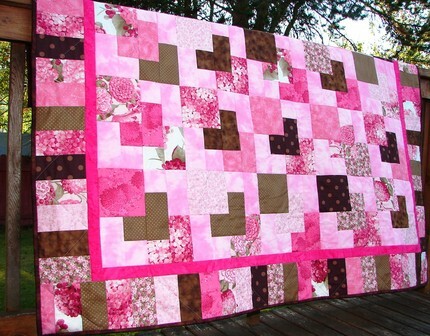 This quilt would be a lovely and touching gift for any woman who has fought, or is still fighting this awful disease. I made a treasury as well. I carefully selected items made by other etsy sellers that also help in donating to Susan G. Komen. All of these listings will donate a portion (and a few of them are donating ALL) of the proceeds of the sale. Let’s get these sold!! !